I recently interviewed Ariyana a spiritual aspirant with an amazing message about her new book “Light Atonement“. As most who commit their lives to helping people make a spiritual transformation they start from ordinary beginnings, and this is true of Ariyana as well. She embarked on this journey because she knew their was a larger purpose. I encourage you to listen to our interview together as Ariyana guides you through her personal journey and you learn more about how she connects with guides from other dimensions. Through mediation, psychics, crystals and other means, Ariyana develops her abilities and begins unraveling the mystery of this purpose and shares it with us in this interview. In her book “Light Atonment” she shares her hard-earned wisdom and offers reflections that will help the reader find the meaning and fulfillment that is often so elusive. 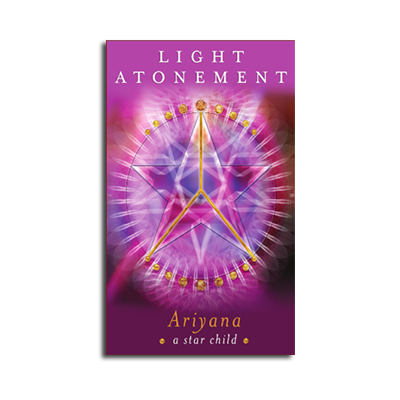 If you would like to learn more about Ariyana and her new book “Light Atonement” please click here to be directed to her website. You can also link her Facebook page by clicking here. I hope you enjoy this interview with Ariyana.